Proud Winners Of A Spirit Of Enterprise Award! You are here: Blog Home / Proud Winners Of A Spirit Of Enterprise Award! Well it's been about 9 years since I last put on my dinner jacket, and it turns out the fact it still fits me wasn't the only cause for celebration last Friday evening. We were in the finals of the Spirit of Enterprise Awards at Great Yarmouth town hall in the Great Marketing Initiative category. The town hall underwent a full refurbishment in 2008, and the high ceilings of its Victorian function room now look beautiful, while the wide staircase up to it give the awards a real sense of occasion. The other two finalists were announced on November 7 in the Great Yarmouth Mercury. I have to confess, when my wife and I looked at the other two nominees we both thought that the Seahorse Guest House had a very strong chance of winning. They had been marketing themselves to the oil and gas industry to keep occupancy high in the winter months, and were developing breakfast meetings to enable local businesses to network, gaining kudos for themselves along the way. Everything after that point was a bit of a blur. The walk to the stage seemed to take forever, and I remember thinking that I was going to trip or fall off the stage unless I was really careful. I rambled about receiving a Tweet from Mik, then later realised probably nobody had a clue who I was talking about! But I made a point of thanking our staff, who remain the backbone of our business. Then I got off the stage as quickly as I could. Looking at the dark, frosty view from my window, the skip art weekend in June seems like a dream. A lovely hot, weekend, which was great fun, as much for us as for the public. Mik did an amazing job in a short time frame. 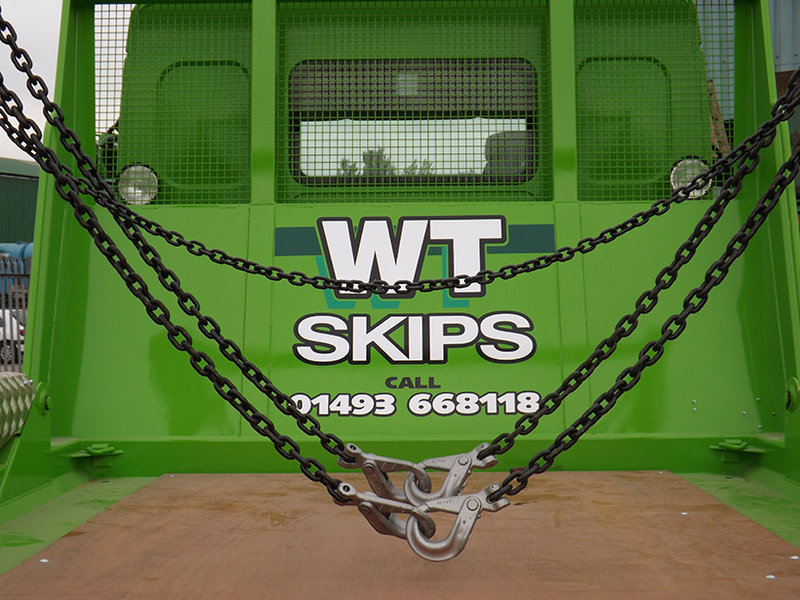 Right Web Design, who manage our website and social networking, did a great job of integrating the skip art into our digital world, which nowadays is an important showcase for businesses. We'd like to do it again next year. We've already got some ideas on how we can make it more interactive. Mik's already on board in principle, although he's currently up to his ears in dragons. Watch this space.